N’Assembly has no no right to introduce new projects in the budget – Osinbajo – Royal Times of Nigeria. 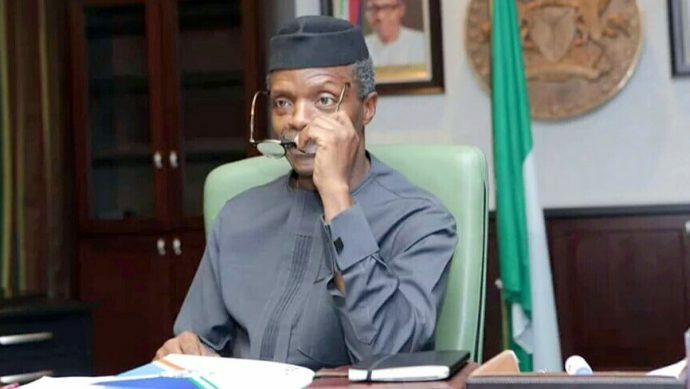 Acting President Yemi Osinbajo has said the National Assembly has no right to introduce new projects during consideration of national budgets, The Nation reports. Osinbajo said this while speaking at the Flag-off of the 2018 Budget and ERGP Implementation Plan Development Process by the Ministry of Budget and National Planning at the old Banquet Hall of the State House Abuja on Tuesday. He said the National Assembly only has the right to allocate funds for projects in the budgetary proposals submitted by the Executive. He asked all Ministers, permanent secretaries and heads of government agencies to pay full attention to the details of the budget. The acting president also said President Muhammadu Buhari is very concerned with the full implementation of the budget.